Replace your conventional inefficient and drafty old fire place with a natural gas fireplace insert. Natural gas fireplace inserts provide a comfortable setting and control remotely or a switch. Vent less gas fireplace inserts can be added anywhere in a wall. You decide, master bedroom kitchen or den. 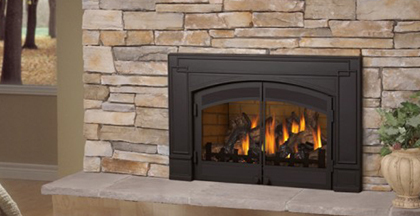 Today's natural gas fireplace products and accessories are safe and reliable. 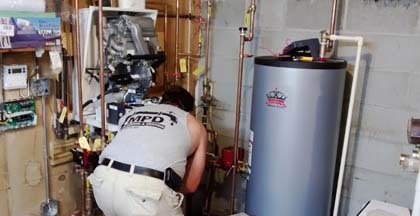 You can trust MPD plumbing and Heating for all your natural gas needs. Gas stoves and gas logs provide radiant heat in just about any room in your home. 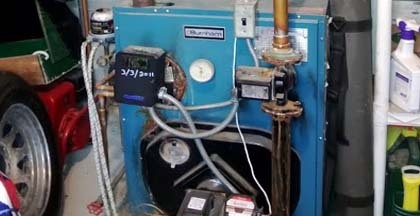 Our certified gas plumbers and licensed teams are quick to arrive; they're all gas licensed and knowledgeable in high-efficiency gas heating systems. 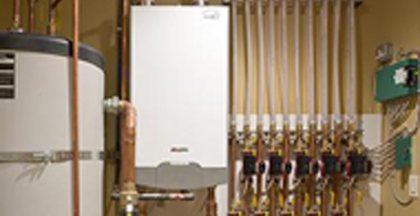 Trust your gas heating option with an licensed and insured Master Plumber. A safe gas stove and log installation will provide years of comfort. Gas firplace inserts and gas logs for everyroom in the house. Safe, efficient, vented or vent less options available.